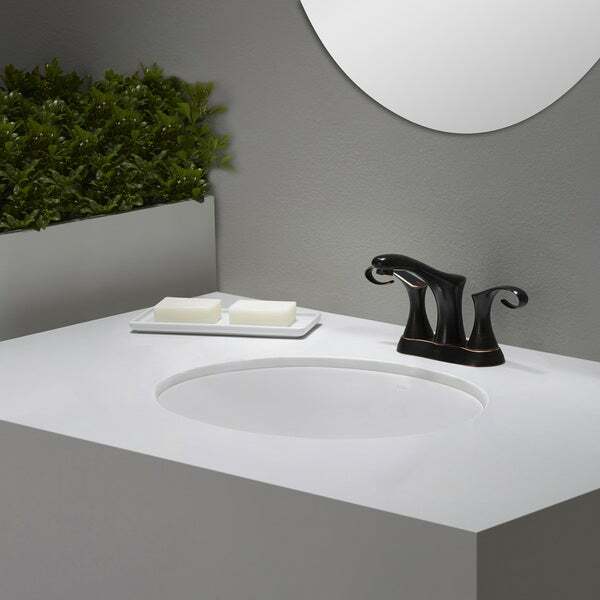 The new series of bathroom sinks from Kraus offers a fresh take on classic white ceramic. The oval shape of this undermount basin complements a range of decor styles, from traditional to contemporary. The smooth, non-porous surface is naturally hygienic and durable, with a premium baked-on glaze for an easy-to-clean high-gloss finish. This model is ideal for retrofitting, with a 1 3/4" drain opening designed for standard US plumbing connections. Pair this sink with a Kraus centerset or widespread faucet for a beautifully coordinated bathroom. Sink Dimensions: 21.25" x 17.25" x 7.5"
Dimensions 21.25" x 17.24" x 7.5"
"Is this available with inside dimensions of 17" x 14" x 5.5" ~ 6.5"?" Hello westitzer, the sink is not available in those dimensions. Thanks for shopping with us.